Jennie's love for horses began at a very early age and has continued over the past 35 years. Jennie graduated from Florida State University with a degree in Business. But, after several years, she discovered that her heart wasn't really in that industry. 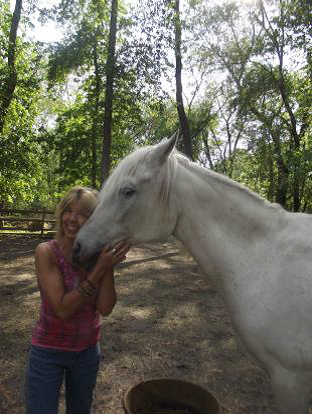 Jennie became PATH Certified in 2005 and opened a non-profit therapeutic riding program in New Jersey after she and her husband moved from California. 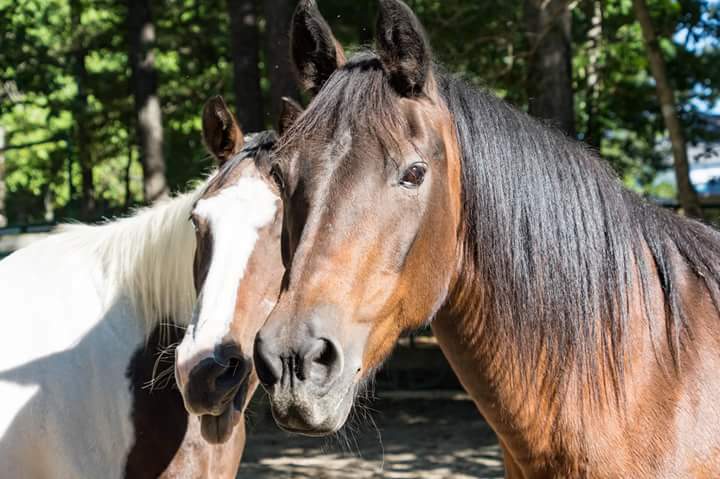 Her beloved horse, Baby, with the addition of two other therapy horses, allowed this 501c3 community service organization to grow and prosper for 12 years. Jennie and her family have relocated to North Carolina where a new chapter begins! And, FFR is blessed and excited to have her lead our programs for those with challenges, whether Veterans with PTSD or Children and Adults with special needs. Pictured above with her therapy dog, Cookie, and FFR's own miniature horse, Cookie, we are fortunate to have Dr. Strayer and her team as partners. Christina is a Licensed Professional Counsellor, Supervisor and Animal Assisted-Therapist, specializing in a variety of Integrative Therapies to assist clients with their needs. Animal-Assisted Therapy and Ecotherapy have been proven to benefit clients psychologically and physiologically by accelerating therapeutic outcomes. Christina's approach is Client-centered and Holistic. She combines her study of the power of the Human and Animal Bond in healing with proven counseling techniques. Christina works with clients in both a clinical and natural farm environment, partnering with animals to enhance and complement positive therapeutic outcomes. She also conducts groups and workshops on various topics at Fuzzy Faces Refuge throughout the year. George stays on the property and manages the Barn. From the age of 5, George has loved horses, dogs, cats and farm animals in general. He spent his teenage years helping his uncle with their cattle farm. 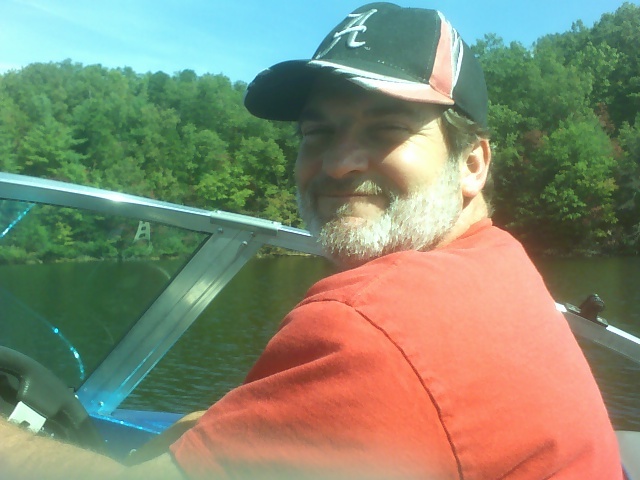 Now, as the Barn Manager, George makes it his mission to care for the animals at Fuzzy Faces Refuge and ensure that their habitat is clean and safe. George takes pride in creating an environment where Veterans, First Responders and people of all abilities can learn about critically endangered heritage breeds, interact with the animals safely and enjoy the benefits that a serene farm setting can provide, including Animal and Equine Assisted Therapies and Therapeutic Riding. George feeds and maintains the habitats for all the animals. If you would like to learn how to help with this, please sign up to volunteer! Bonnie is an Army Veteran and the daughter of a Vietnam Veteran. She grew up living all over the country as well as in Germany. But, her favorite permanent "home" was with her Grandparents in South Carolina where she helped with the farm and caring for the animals - cats, dogs, chickens, goats, pigs and cows. Bonnie conducts the animal care training and educates others on the need to preserve our heritage breeds. If you would like to learn how to help with this, please sign up to volunteer! 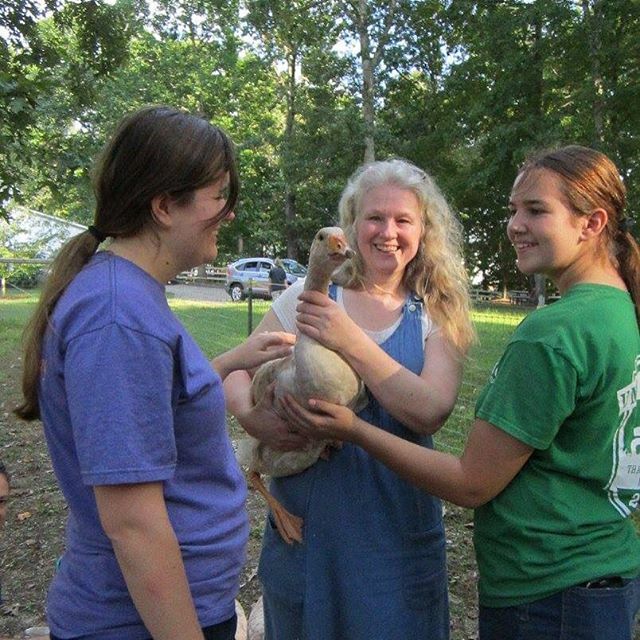 Sarah is a Licensed Professional Counselor Associate as well as a partner at Animal Assisted Therapy of the Triangle. She teams up with her doggie co-therapists, Ella and Cricket, as well as with horses and other farm animals here at FFR, bringing a unique approach to her work with adolescents, adults and couples. Sarah has a diverse background in organizational change management as well as experience as a corporate trainer, enabling her to focus more deeply on the change and growth process of individuals in her care. Her clinical counseling specialties include: communication and conflict resolution, victims of domestic violence, stressful career transitions, anxiety, depression, grief, bipolar disorder, and PTSD. Sarah's counseling approach is person-centered and holistic. Having a Certificate in Mindfulness, she develops genuine relationships with clients by providing a safe environment that enables collaborative exploration of areas the client wishes to address thereby reducing emotional and behavioral distress. 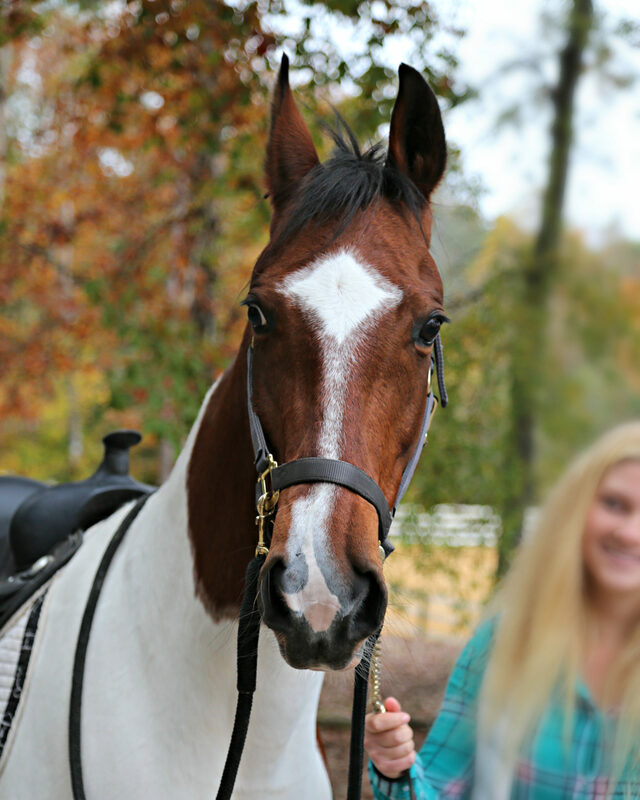 Jackson is a former show and dressage horse. His owner, Tina Batchelor, lets FFR use Jackson for therapy. He is a loving people pleaser. Libbie is 1/4 critically endangered Lippett Morgan. 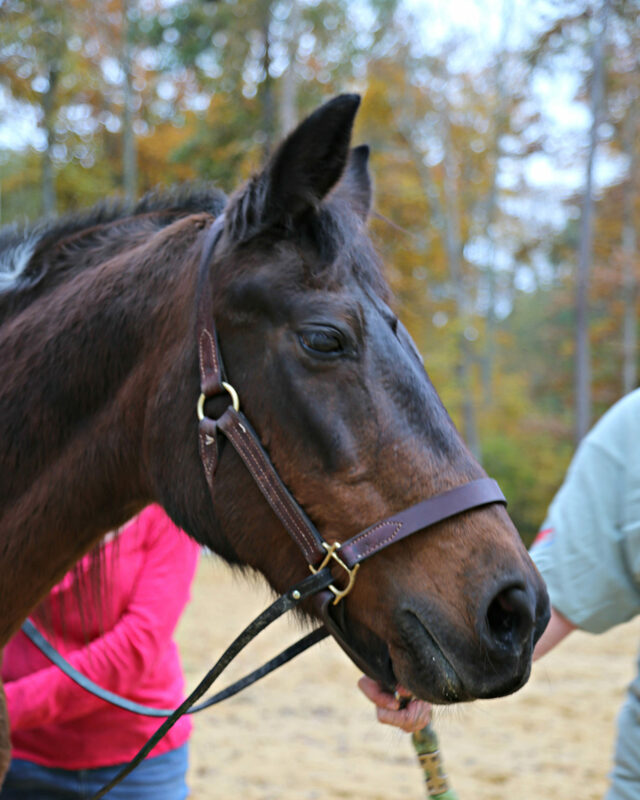 She is a former show horse graciously donated by Byron Childress of Virginia. She is a real sweetheart! Lilly is a Haflinger and perhaps the most easy going, sweetest horse at the refuge. Gracie is a critically endangered Spanish Mustang and loves to be with people. She is super smart and nosy.